A bisque doll was originally developed as a “Fashion Doll” to share/show fashion of the upper class as a kind of mannequin rather than toys for children. What is a fashion-doll? There are various stories. 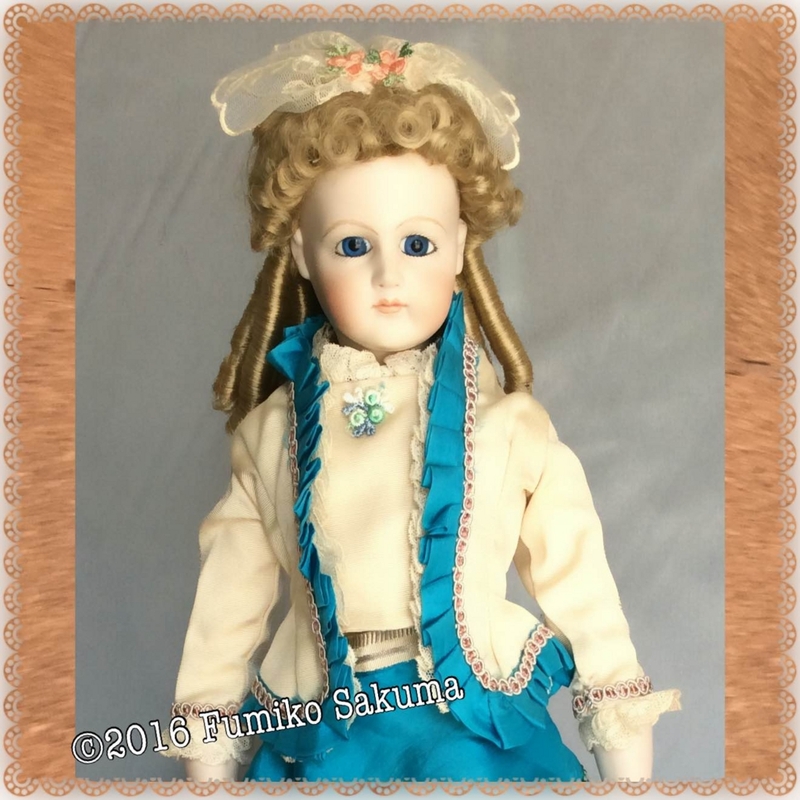 The most common fashion doll was made in France around 1860~1890, has a bisque head, has an adult proportion with body made by leather, and wearing the latest fashion. Some definition has only the limitation of a Parisiennea (Parisian woman) of Jumeau or a Lady doll who “doesn’t” wear the prevalent/trendy wear. From a historic viewpoint - there are many fashions of a luxury doll from an ancient era. The purpose of fashion dolls is as toys for children and another is as mannequins for Haute couture producers. Probably there were both purposes for the dolls. There are also a variety of types of dolls made from woods, wax, paper marche, china etc.. They have an adult proportion wearing prevalent/trendy clothes. In my fashion doll the head, shoulder, hands, and legs are made by bisque and baked/heated at 1200C with the body made by leather and fabric.